Pastel is a new trendy minimal portfolio concept for creative agencies, freelancers, graphic designers, illustrators, photographers or any kind of creative is now able to create a quick & easy portfolio to showcase their work with a unique and creative touch. 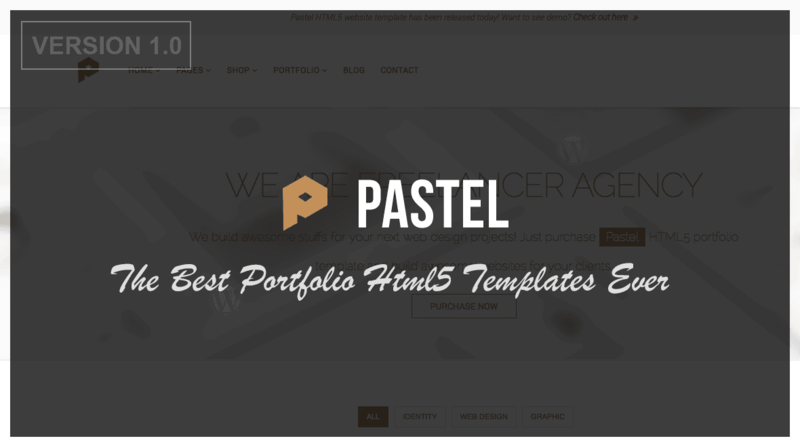 Pastel is the perfect one who are looking for a minimal and professional templates. Looking fantastic on retina devices, with beautiful typography and those small details that really make you stand out from the crowd. Pastel comes with 5 diffrent unique home page style, blog manasory, normal blog style, portfolio manasory, portfolio gallery style, portfolio classic style, fantastic light and dark versions and lot more. We put a lot of effort on this one and we hope you’ll like it. 2014.10.26 - version 1.0 * First release!